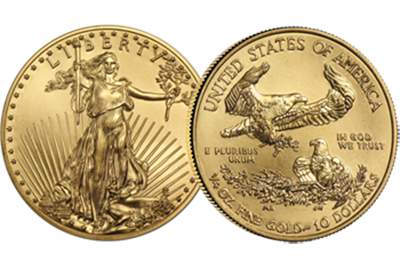 Gold Buffalo and Gold American Eagle Coins – Authorized by the Bullion Coin Act of 1985, American Eagle Gold Bullion Coins quickly became one of the world’s leading gold bullion investment coins. 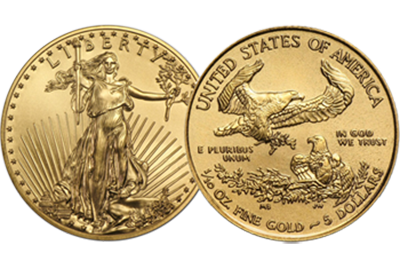 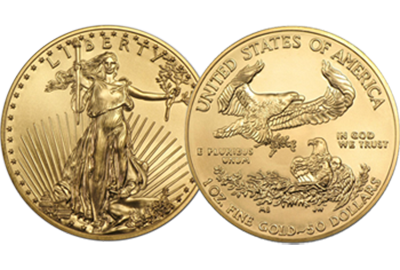 Produced from gold mined in the United States, American Eagles are imprinted with their gold content and legal tender “face” value. 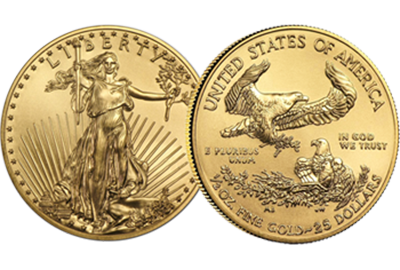 An American Eagle’s value is based on the market price of its metal content, plus a small premium to cover coinage and distribution.